Please see amended attachment. I will sort the riser penetration into the underside of the step out in the workshop. 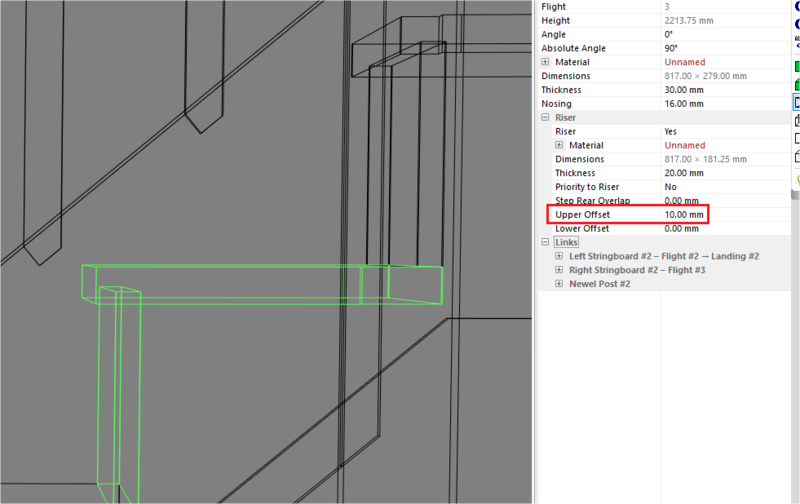 I am struggling with how to add a penetration to the underside of the steps. Can you point me in the right direction please. Thanks for pointing this out. I will amend the stair and re post it later today. I will send you the file this evening as I am currently away. usually the penetration for steps to newels and stringers can be set from 10 to 15 mm. Also, the risers are not penetrating the underside of the steps. Usually 10mm is the rule. Can you please send me a stair file for the attached stair.